It was a junior high school woodshop class that sparked Darrell’s interest in woodworking, and his deep affinity with wood grew from there. Through the years, family, friends and neighbors recognized Darrell’s talent and asked for his help on their projects. This gradually grew into a word-of-mouth, part-time side business building furniture, cabinets, decks, fences, and remodeling homes, and yet, Darrell still found time to make wooden board games, candle holders, picture frames, and other craft items to give as gifts to family and friends. 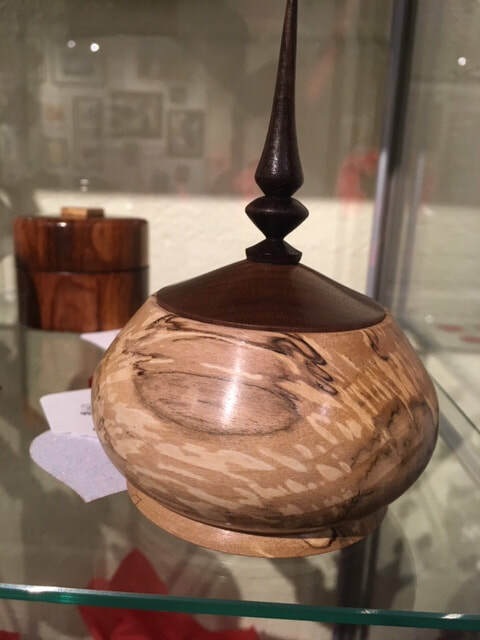 It was in 2014, when Darrell first started woodturning, that he gained his current fame as the ‘Wood Spinner’. 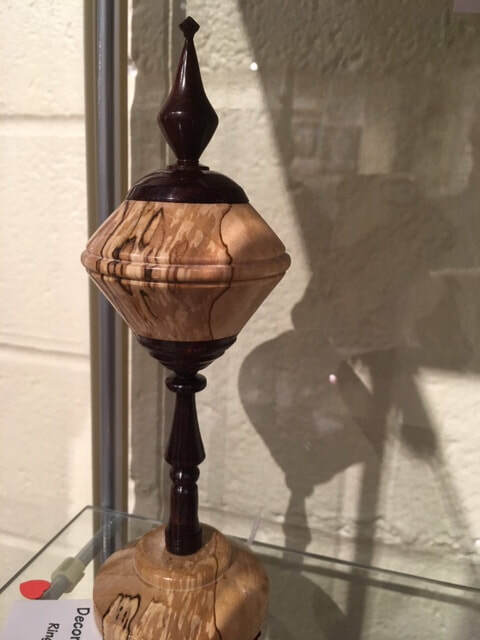 Over the years, Darrell often expressed an interest in woodturning, so for his sixty-fifth birthday and retirement gift, his wife, Sandie, gave him a three-day training class at a woodturning studio in Utah. 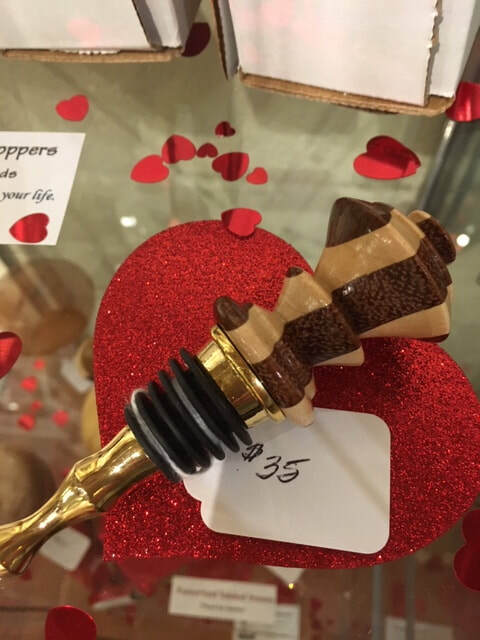 He enjoyed the experience so much that he returned to Provo again the following year for a more advanced class and bought a wood lathe a few months later. 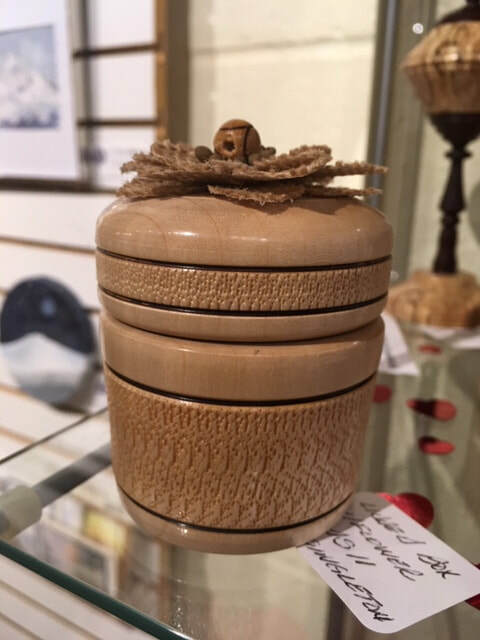 Since then, Darrell has created beautiful and unique, multi-purpose lidded bowls, wine bottle stoppers, and Christmas ornaments using woods such as Alder, Hickory, Spalted Birch, Mesquite, and Curley Maple as well as exotic woods such as Purple Heart, Padauk, Yucatan Rosewood, Bubinga, Coco Bola, Osage Orange, Black Walnut, and Ipe. Many of the pieces available at Arts Alive! 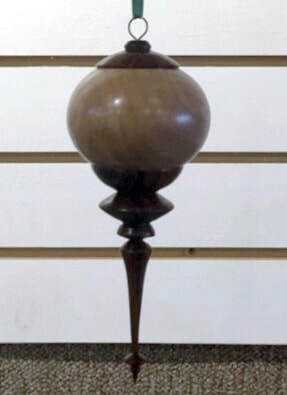 are made of these, and other specialty woods. 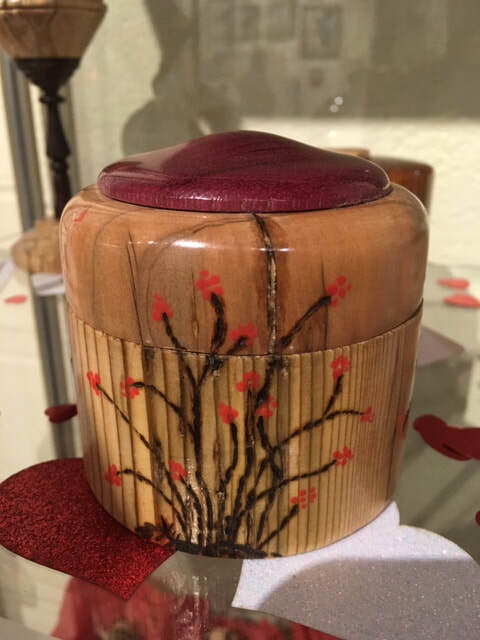 It is the perfect combination of Darrell’s woodturning skill, natural artistic talent and the stunning woods he chooses for each piece that makes his work so appealing and memorable.